Danone, which makes Aptamil baby milk, says there are "no safety issues" with the new formulation of its product, despite concern from some customers. 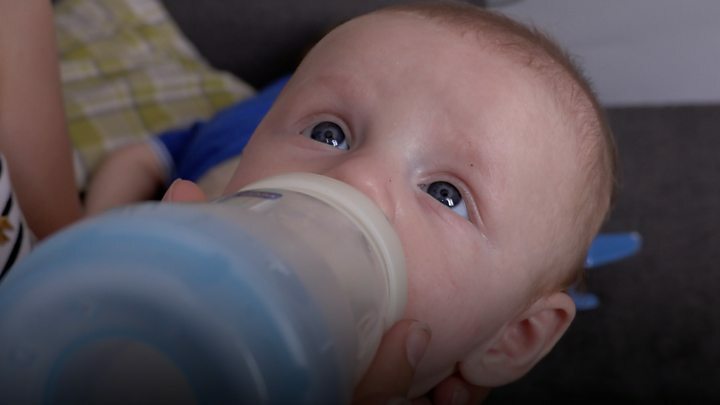 Parents have taken to social media to complain that the new formula is causing their infants to be sick. Danone UK admitted the new product doesn't dissolve as easily as the original. With hindsight it could have done more to make parents aware of alterations to mixing instructions, the firm said. Danone says it is listening to parents' concerns and will provide further information and support, but it defended the new formula which it says provides additional nutrients that support the good functioning of the gut. Parents told the BBC that their babies experienced upset stomachs after they started using the new recipe Aptamil. They said the milk powder did not dissolve in the bottles, leaving clumps of residue. 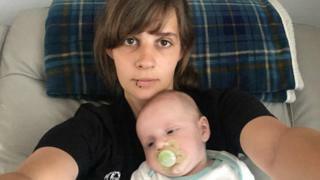 One mother, Rosie Menzies, told the BBC her son was sick after feeds and began to refuse bottles until she switched brands. Danone said babies sometimes take time to adapt to new foods, which could cause temporary changes to their digestive patterns, but that the product had passed extensive clinical trials and product testing. "We have had good mixing results when the product is mixed in line with instructions," the firm said. The new formula needs to be shaken vigorously for at least ten seconds for the powder to dissolve properly, it said. "We acknowledge that with hindsight we could have made the changes to the mixing instructions clearer and we will take action on this, particularly across our consumer and social media channels," the firm added. The new formula underwent a different manufacturing process in order to include different nutrients, the firm said. That process reduced its solubility. Aptamil has changed the recipes of three products: Aptamil First Infant Milk powder (stage 1), Aptamil Follow On Milk powder (stage 2) and Aptamil Growing Up Milk powders (stages 3 & 4). Danone has established a helpline for parents who are concerned.